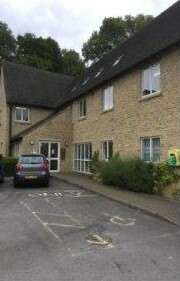 Charlbury Medical Centre was purpose-built in 1996 on the Spendlove Centre site facing the Enstone Road. We are a two partner practice covering several villages in West Oxfordshire. The geographical boundary of the practice area is shown on a map displayed in the entrance. We try to be as flexible as possible in order to give our patients the best possible service in all aspects of care, in a light and friendly environment and are fully supported by our nursing and clerical staff. Charlbury Medical Centre will be using the Witney Neighbourhood Hub for some of our patients who need to see a GP or Nurse the same day they call. The Hub is located on the ground floor at Windrush Medical Centre and offers 15 minute slots. If you need to see someone urgently, the reception staff will ask you for some information so that they can offer you the appointment that best meets your needs.